Connectwell Ground/Earth Terminal Blocks CGMT4, Price In India. in electrical engineering, ground or earth is the reference point in an electrical circuit from which voltages are measured, a common return path for electric current, or a direct physical connection to the earth. 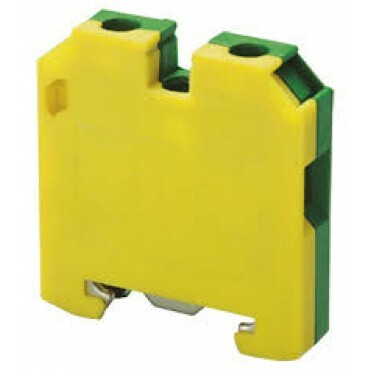 While standard Screw Clamp or Spring Clamp terminal blocks are designed for direct connection of..
Specification:These provide easy connect points and ensure perfect continuity for distribution. A ..